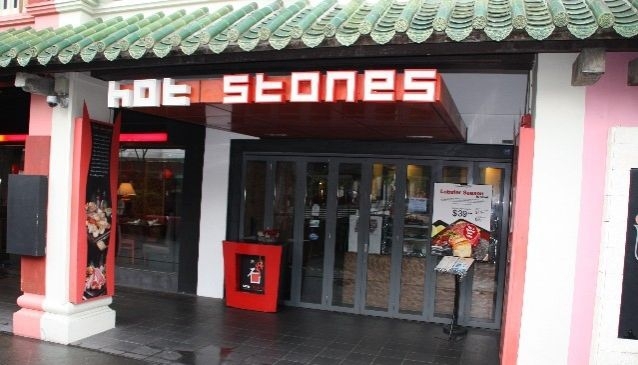 Hot Stones Steak and Seafood Restaurant features a unique dining concept that involves cooking fresh meat and seafood on serpentine volcanic stone slabs. This method seals in the natural juices of the food, providing extraordinary flavour and taste. The Clarke Quay restaurant prides itself for giving diners an unforgettable experience by letting the freshness of its produce do the talking. Let your senses be blown away by its premium meats, which the restaurant has so painstakingly sourced and imported directly from one of the most renowned and reputable premium meat suppliers in the United States. Diners will definitely be spoilt for choice as the menu features a comprehensive list of chicken, pork, beef, lamb, fish, seafood and vegetables. Specialties include Seafood Platter, Rack of Lamb, Surf n Turf, Wagyu Beef and Kurobuta Pork, also known as the Berkshire Black Pig.